Bob’s Auto Café is a 501 (c) 3 non-profit automotive training facility and service shop located in Tualatin, Oregon. We are dedicated to helping our community one car at a time by training people seeking employment in the automotive field, performing quality car service at a fair price, and helping those in need get into a safe and reliable vehicle. Bob’s Auto Café depends on you to keep our business thriving. You can help by donating your used car, coming to us for your auto service work, and providing financial support. For 28 years Lance Griffin has been serving the Wilsonville community in automotive service and repair. 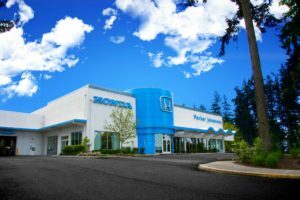 Conveniently located just off I-5 on Boones Ferry Road, Lance and his staff’s mission has always been to take care of their customers’ vehicles like they would their own – with quality and integrity at a fair price. Open Monday – Friday 7:30AM to 5:30PM (Closed Saturdays and Sundays). 30775-D SW Boones Ferry Rd.